Business is a competitive sport. Sometimes it can get bloody. Sometimes it should. So it’s no wonder that quotes from great works such as Sun Tzu’s the Art of War are often worked into insightful business ideologies. 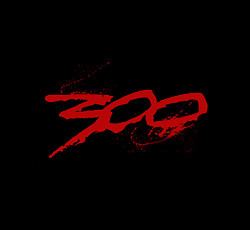 The movie 300 carries many great lessons that can be applied to business. Especially in the area of leadership. Frank Miller is an amazing writer. He has written some of the most influential graphic novels in the medium. I’ve always been a big fan. If it’s true that a picture is worth a thousand words, it’s also true that one of Frank Miller’s words is worth a thousand pictures. It’s great to see his work (Sin City, 300) on film. 300 is based on historical events. A small force of Spartans held off the massive Persian army at the battle of Thermopylae until help could arrive. Honor. There’s a big difference between ethics and integrity. Know the difference. Be open. Take the high road. Duty. Not everyone practices honor. Know when it’s time to cut integrity loose and get ethical. Glory. Celebrate your successes to build momentum. Capitalize on your successes to create more of them. Combat. Stand in front of your army and you’ll always have an army behind you. Victory. Sweet isn’t it. Now go back to number 1 and do it all over again. Glad you liked it. I had a lot of fun writing this little post because I’m a big FM fan. I stopped by your site and saw your post about “The World” island development. Wild. Very cool. Yeah, I came across the world through a friend of mine and thought it would make a great article. Especially since the same companies are behind the Palm Islands as well. It’s a great development. I had to go check it out on Google maps (satellite view). It’s a bit of an older picture from where the development’s at now … but it’s there!